Every once in a while, a news story is released that has no basis in any real science whatsoever. A few days ago, the International Agency for Research on Cancer (IARC) declared glyphosate, the active ingredient in Roundup and many other brands, to be a class 2A probable human carcinogen. What does this mean? Does glyphosate, long heralded as one of the safest agricultural pesticides on the market, really cause cancer? Should it be ripped from store and retail shelves, buried, burned and otherwise disposed of? Even banned? Let’s slow down for a minute here. Glyphosate has been tested inside and out for the past 30 years and has not been shown to be a cancer risk for humans. A mind-numbing number of studies have consistently shown, time and again, that glyphosate is safe. So why the controversy? First, let’s look at the basics. What is glyphosate and how is it used? Glyphosate was originally patented by Monsanto in the early 1970’s as the active ingredient in Roundup herbicide. It was introduced to the market in 1974 and has since become one of the best-selling herbicides in the world. Its non-selective mode of action means that it does not discriminate in which weeds it kills. 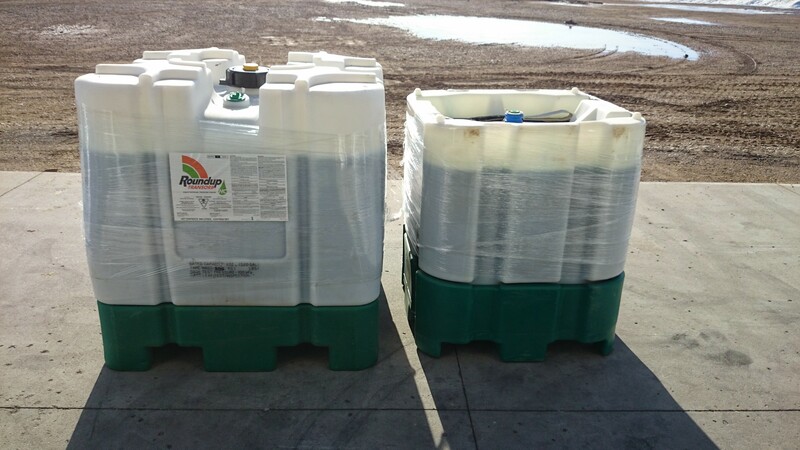 The introduction of this product revolutionized the herbicide market and changed the way farmers kill weeds. For those interested in the details, glyphosate, a derivative of the amino acid glycine, targets and blocks a pathway called the shikimic acid pathway; which, suffice to say, is required for amino acid synthesis in plants. With amino acid synthesis shut down, plants wilt and die from starvation. Since the shikimite pathway is not found in humans (or any other animal), glyphosate is of very low toxicity. Find even more details here. Before herbicides were broadly and economically available, farmers were forced to use tillage to control weeds. While other methods helped, such as crop rotation, cover crops and late seeding, tillage was the primary method with which weeds were killed. The problem with tillage is that it is extremely damaging to soil structure and leaves soil exposed to erosion. With the introduction of herbicides, and eventually Roundup, minimum-till agriculture became a realistic possibility, which has decreased erosion substantially on farms that utilize it. 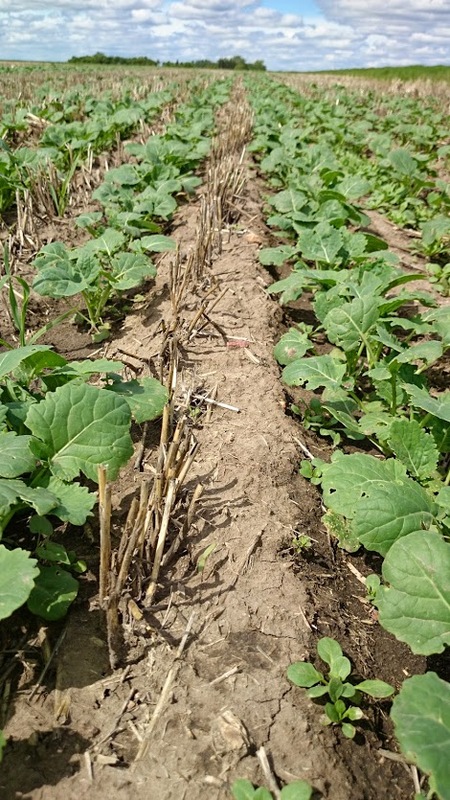 The introduction of Roundup-Ready crops, including corn, soybean, canola, cotton and so on, has allowed for safe, simple, very cost-effective weed control. Where did this cancer label come from? Sorting through the rhetoric of glyphosate is a challenge all on its own. Type “glyphosate” into a Google search and you’ll find all kinds of wild claims about cancer, autism, poison, and the like. The fact is that most of what you see is sensationalist news articles with little fact-based information. Let’s cut through some of that rhetoric. They listed glyphosate in Group 2A, in which there are 73 agents, which includes the occupational exposure as a hairdresser, shiftwork and high temperature frying. Group 1 includes alcoholic beverages, estrogen and wood dust (source). Yes, that means beer is a greater carcinogenic risk than glyphosate. He’s not the only one. The Environmental Protection Group of the US has done extensive testing of glyphosate, and does not consider glyphosate to be a carcinogen. Other groups, such as Health Canada and the German Risk Agency, are firmly against the notion that glyphosate causes cancer. Put simply, the IARC is the first and only group to label glyphosate as a carcinogen. Oddly, one of the very few studies they allegedly took into consideration was the fatally flawed Seralini rat study. If you’re unfamiliar with it, it was a shocking study that apparently proved that GMOs caused tumours in rats- but the methodology of the study was so poorly exercised that the journal that published it later retracted it. It is now a laughingstock of the scientific community, and any credible organization that references “information” such as this should thoroughly re-evaluate their credibility. I could go into the thousands of studies on the safety of glyphosate, and go into a detailed literature review of why it is such a safe product. But this is a blog; not a scientific journal, and as such I’ll leave the science to the scientists with some links for further reading below. Let me summarize instead; glyphosate lacks the structural characteristics of known carcinogens, and the IARC has failed miserably to link cancer to glyphosate. Interestingly, the IARC actually does not conduct their own research; instead, they look at the data that’s out there and form their own conclusion. Isn’t it telling that they are the first and only group to label glyphosate this way? The reality is that glyphosate has been applied on billions of acres over the past 40 years, and if it really were that dangerous, wouldn’t there have been some real consequences by now? Wouldn’t livestock and people be getting cancer in droves? This has simply not been the case, and glyphosate has been a wonderful alternative to hundreds of other far more dangerous chemistries out there. I have been spraying glyphosate, whether it be Roundup, Touchdown Total, Vantage Plus or whichever of its dozens of formulations, for the past ten years of my life. My father has been spraying it most of his life. My experience with this product is that it is safe, effective, cheap, and is a fantastic tool to combat weeds on our farm. Nobody, in all the years we have applied it, on this farm has ever gotten sick from glyphosate. Not a single friend, neighbor or colleague of mine has ever had a negative health effect from this chemical. Too small of a sample size? How about 60 independent genotoxicity studies with none that imply danger to humans (source)? The message here is that you can’t believe everything you see and hear. IARC reviewed the data on glyphosate- among other chemicals- for less than a week before making a decision. In contrast, a German study conducted on behalf of the European Union has only just seen its first draft released; a study they have been working on since 2012. Their result? Not a carcinogen! Don’t trust my claims? Check out my sources. Take the time to understand this issue, and understand the science behind glyphosate and modern agriculture. Glyphosate has been a modern miracle; it’s time we treated it that way. Genetic Literacy Project. Is glyphosate–herbicide linked to GMOs–carcinogenic? Not if science matters. Glyphosate Technical Fact Sheet. National Pesticide Information Center. Greim, H. et. al. 2015. Evaluation of carcinogenic potential of the herbicide glyphosate, drawing on tumor incidence data from fourteen chronic/carcinogenicity rodent studies. Kier, LD. 2015. Review of genotoxicity biomonitoring studies of glyphosate-based formulations. Mink, PJ et. al. 2012. Epidemiologic studies of glyphosate and cancer: A review. Niemann, L. et. al. 2015. A critical review of glyphosate findings in human urine samples and comparison with the exposure of operators and consumers. Sorahan, T. 2015. Multiple myeloma and glyphosate use: a re-analysis of US Agricultural Health Study (AHS) data. Pesticides, GMOs, Roundup, super-weeds, evil wheat, big Ag and a hundred other buzz-words are touted as the failure of modern agriculture’s quest to feed the world. Organic farming is proclaimed as the solution to these problems, as the future of sustainable agriculture. The reality is, as I will tell you in this post, that the opposite is true; conventional farming, not organic, is better for the environment and can sustainably and safely feed a growing world. As an aside, I have no problem with most organic farmers. The ones that I know do it not for idealogical reasons, but for economical ones. For their farms, they believe they will make more money growing organic crops than conventional ones. There is nothing wrong with that, and I don’t want to go on an attack against farmers doing the best they can to do what they love. Furthermore, I’m not going to go on record saying that conventional agriculture is perfect. We have many improvements to make, and there are some real issues that need to be addressed – but that is a concern for another day. Also, for the purposes of this post, I want to focus in on crop production, so I’ll leave livestock out of this discussion. Organic vs Conventional Agriculture: What’s The Difference? First of all, I don’t want to assume everybody is as obsessed with agriculture as I am, so let’s just go through some basic differences between these two production methods. Organic agriculture is a $2.6 billion dollar industry in Canada, with regulations stipulating what products farmers can use on their farms. Genetically modified crops are not allowed, and neither are synthetic fertilizers. Pesticides are a more complicated matter, with only “organic” chemicals allowed for use. 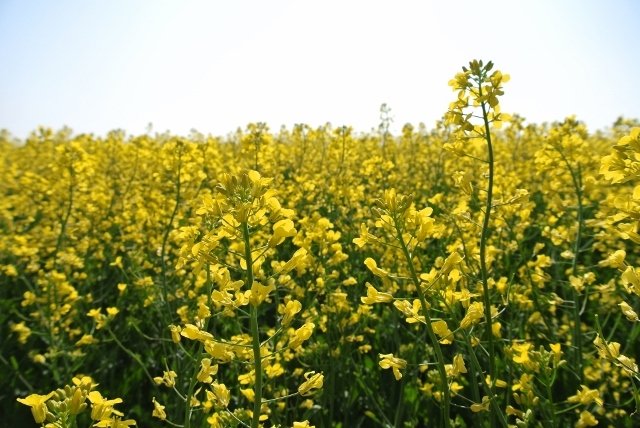 For a farm to be certified organic, each of its fields must be free of any prohibited substances for three years before certification by the Canadian Food Inspection Agency is allowed. Are organic crops tested before they are certified? No; at least, according to this source. The CFIA disagrees, but concedes it is still more or less an honour system. Without synthetic fertilizers and chemicals, organic farmers must use alternatives to grow their crops and kill weeds and insects. Essentially, it is a reversion to agriculture practices of 100 years ago. While some of these practices are quite effective and perhaps even have a fit in conventional agriculture, most of them were abandoned years ago with the introduction of fertilizers and pesticides. The reasons were numerous, but they really all began in the infamous “Dirty 30’s”. Today, we talk about four elements of weed control: cultural (crop selection), chemical (herbicides), biological (using natural enemies- still a very new and undeveloped field) and mechanical. In modern agriculture, cultural and chemical controls are our primary weapons in the war against weeds, with the real emphasis on chemicals- crops like corn and soybeans are just not that competitive. Wheat, barley, canola and other such crops are actually very competitive, but they still depend on herbicides to get established and get ahead of the weeds. A century ago, there were no real herbicides available. With that option stripped out, and biological controls in their infancy even today, that really only left mechanical and cultural controls- exactly like organic farming today. Mechanical control essentially involves steel; using shovels, discs, rods, harrows, etc. to uproot, rip and drag weeds apart to kill them. Every second year, each field must remain idle (not seeded, or “summerfallow”) and constantly tilled up to stay ahead of difficult weeds. This kind of intensive tillage leaves the ground bare, exposed to direct sunlight and the ravages of heavy winds. Remember hearing about dust storms? That is the unfortunate end result of old-school farming. Without chemical controls, there is simply no way to consistently grow crops (especially up here in the northern climates) all year round to stay ahead of weeds. Yes, natural grassland will do that, but how will that feed 7 billion people? In my area of the world, I have seen- and continue to see- the effects of long-term tillage on our soils. Heavy rains and winds wash precious topsoil into ditches and sloughs. Wet spots in the field stay that way for months and months, allowing salts to collect on the soil surface; eventually turning the ground a ghostly white, a sober metaphor of the inability of that soil to grow anything again for generations. 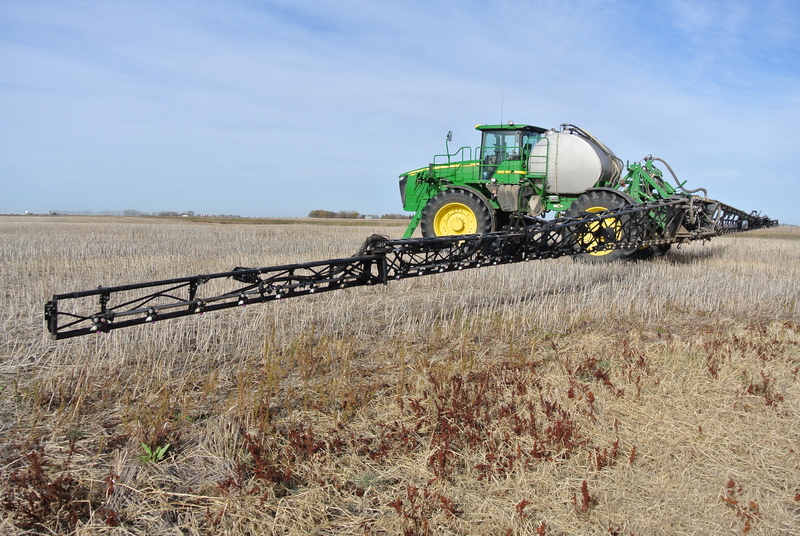 The reality is that, at least in Western Canada, herbicides are our only method of controlling soil erosion; they allow us to minimize tillage. Is tillage the only way for organic farmers to control weeds? No; there are other methods, including cover crops and precise planting timing to keep weeds in check. 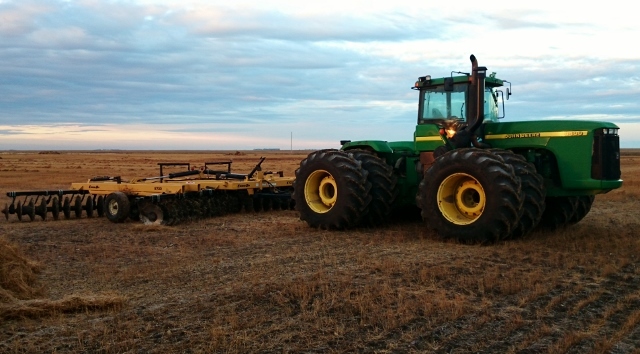 However, as good as some of these methods can be, they are still not the solution, with most farmers opting for the reliability of tillage instead. And, ultimately, they still do not solve the other stark reality of organic agriculture: it cannot possibly feed the world. In 1898, a scientist by the name of Sir William Crookes, new president for the British Academy of Sciences, stated unequivocally that the world would run out of food by the 1930’s. A lack of fertilizer would cause world crop yields to plummet, and massive starvation would ensue. Current production methods of manure and saltpeter harvesting to use as fertilizer would eventually be outstripped by an exploding human population. He said the only way to prevent this famine would be to synthetically produce fertilizer. Less than 20 years later that became a reality, thanks to Fritz Haber and Carl Bosch. Our atmosphere is nearly 80% nitrogen. It is one of the most important building blocks of life; but it is unavailable to us – and plants – in its atmospheric form. Crops require nitrogen for growth and reproduction. Before synthetic fertilizer, animal manure and bird guano were the only sources of fertilizer. Crops were carefully rotated with nitrogen producing pulse crops and forages to generate as much N as possible. Yet, inexorably, yields would eventually decrease as the soil became exhausted of nutrients. The Haber-Bosch process solved that problem by converting atmospheric nitrogen to a usable form for plants. So, essentially, so-called “synthetic” fertilizer really isn’t synthetic at all; rather, it is a natural component of the air we breathe every day. Without it, the crop yields would long ago have failed, and the world would not be what it is today. Without synthetic fertilizer, and their natural counterpart, pesticides, crops would not be able to sustain enough growth to feed the world as it is today. Haber and Bosch are responsible for one of the greatest inventions of our history. Why go back to the problems of 100 years ago when we have already found the answer? Organic Food: Is It Really Healthier? The final component of this blog post concerns the misconception that organic food is somehow more nutritious than conventionally grown food. There is a belief that pesticides somehow contaminate the seed of the plant itself, finding its way directly into our food. To some degree this is true. But the reality is that the residues that find their way into our food are so abysmally tiny that in 98% of our food, there is no difference between food that is grown conventionally and food that is grown organically. What about that other 2%? It still comes in below the stringent limits set by the government (source). But wait; isn’t organic food healthier than conventional? According to a recent Stanford Medicine study, that is simply not true. No nutritional differences of significance were found when comparing the two production methods. The answer to the question of whether organic agriculture is more sustainable, better for the environment or healthier than conventional agriculture is clear. Organic farming causes greater soil erosion, is not healthier or safer for consumption and would sentence billions of people to die, most of them in developing nations. Isn’t it easy to criticize a method of producing food when you have never been hungry? I choose to farm with pesticides, GMOs and fertilizers because I know that it is the right choice. I know that standing behind the use of these products will help feed a growing and hungry world. Yes, there are still problems with our agriculture system, but I know that farmers and researchers are savvy and brilliant individuals that will solve these problems over time. Yes, organic farming is a choice some farmers make, and I am not going to attack their choices. What I am attacking is the marketing and smearing of conventional agriculture; the misinformation that permeates this discussion and diminishes the importance of it. During my time as a farmer, I have spent a lot of time studying this issue. As an agronomist, I have seen first-hand the consequences of organic farming, and the successes of modern conventional agriculture. As a third-generation farmer, I know how amazing our progress has been in agriculture, and I am excited about the possibilities of the future. Any thoughts on this post? Disagree? Write a comment below. Canadian Food Inspection Agency. 2014. Canada Organic Regime: A Certified Choice. Hager, T. 2008. The Alchemy of Air. New York, NY, USA: Broadway Books. Humpreys, A. 2012. Canada’s organic food certification system ‘little more than an extortion racket,’ report says. National Post. Smith, E.G., Knutson, R.D., Taylor, C.R., Penson, J.B. 1990. Impact of chemical use reduction on crop yields and costs. Texas A&M Univ., Dep. of Agric. Economics, Agric. and Food Policy Center, College Station. Smith-Spangler, C. et. al. 2012. Are Organic Foods Safer or Healthier Than Conventional Alternatives? : A Systematic Review. Annals of Internal Medicine.